The Breakthru Beverage Group, LLC, was founded in 1944. The Breakthru Beverage Group was founded then, and since then the company has undergone significant changes, becoming the success alcoholic beverage distributor that it’s known for being today. The company is very dedicated to all its stakeholders – the suppliers, associates, shareholders and of course, the community. They have core values and they practice those values daily. The company values are courage, passion, truth, and respect for everyone. The leadership at Breakthru Beverage Group is devoted to the communities they operate in, act with integrity and they promote transparency. Based on our research, they are also philanthropic, involved with many charitable organizations. As with any prominent distributor within the industry, they too promote responsible drinking and consumption. 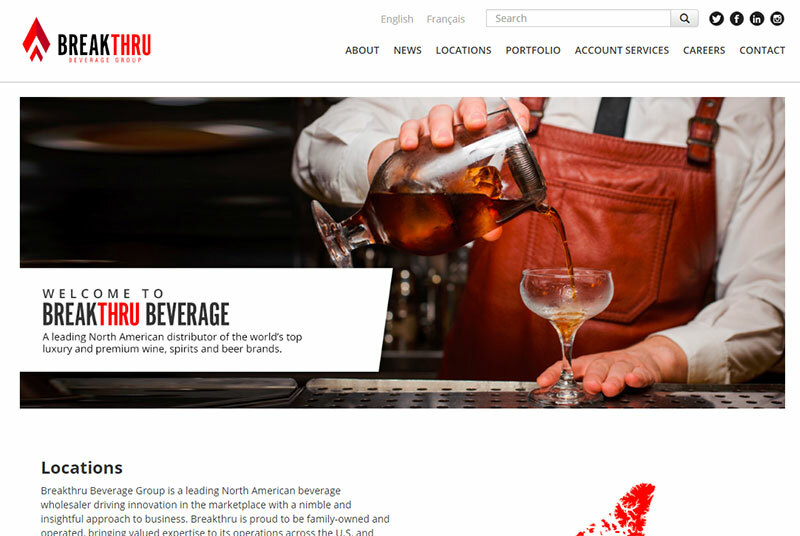 The Breakthru Beverage Group, as we know it to be today, was formed in 2016 when two large beverage companies decided to merge. The Charmer Sunbelt Group and Wirtz Beverage joined forces on January 1, 2016. These two companies with rich history set out to aim their focus on the future with their effort being to bring high-quality products across 19 markets throughout the USA and in Canada as well. The Charmer Sunbelt Group was founded in 1944 in New York, while the Wirtz Beverage Group, also founded in 1944 in Cicero, Illinois. Today, the company is still run by members of the Wirtz family and the Merinoff family, respective representatives from the Wirtz Beverage Group and the Charmer-Sunbelt Group. If you’re looking to connect with a distributor within the markets mentioned above, then perhaps you should contact Breakthru. Contact information has been provided below. Looking for the full distributor list? Please visit this page here. To return to the main page on ParkStreet.com click this link.